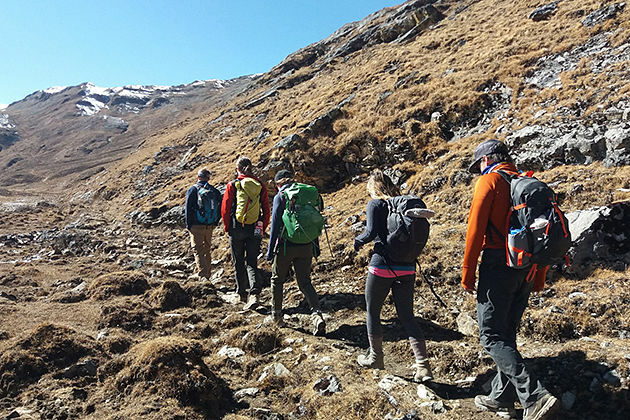 Enjoying your 2 weeks with this trekking tour, then you will have an opportunity to experience the majestic mountain views, trek through adorable villages, and gain an insight into Bhutan’s unique form of Buddhism and the culture which was cut off from the rest of the world. Standing amid the immense space, letting your soul and the magical ambiance roll into one at the high altitude, and then, what could be more exciting than that? Accommodation: Listed below or equivalent. Rooms with private bath or shower, hotel taxes, porterage, tips, and service charges. Before landing off, do not miss a chance to witness the stunning panorama of Paro Valley, the Himalayas while sitting on a comfortable seat. 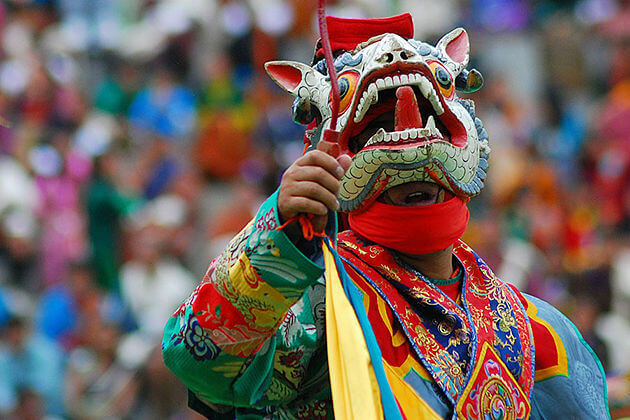 Right after jumping off, Bhutan will welcome you with the pure air and absorbing serenity. Completing all immigration procedures, our representative will be waiting to welcome you and pick you up to your hotel. After lunch, head out to visit Paro Dzong, the 15th-century fortress reflecting clearly the traditional Bhutanese architecture. Besides enjoying its ancient structure, you cannot forget to admire the surrounding things outside the Dzong as you will notice that the two rivers Pho Chhu (father) and Mo Chhu (mother) are winding around the Dzong and they are likely the parents hugging the kid into their heart. One the way back to Paro town, you will across a traditional wooden covered bridge spanning the Paro River, named Nyamai-Zam. 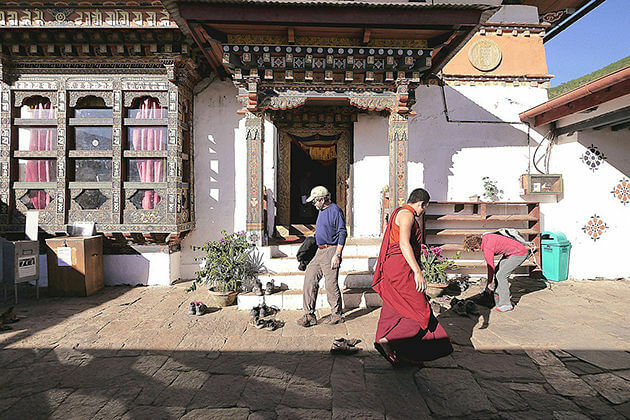 Later, in the evening, head out for dinner at some of the finest restaurants in Paro. After dinner, feel free to enjoy the nightlife in Paro. After breakfast, you are now full of energy to begin your 2nd day with a drive to Chele La pass (3988m) – the highest trail pass in Bhutan. 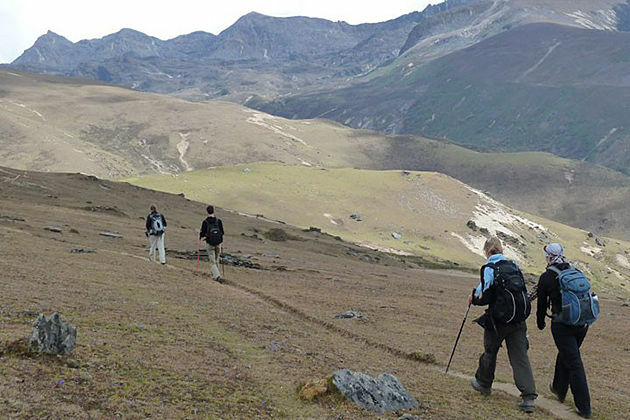 En route, you will pass through the blue pine and rhododendron forests (35km) and on a lovely day, you can clearly witness the view of Jomolhari (7314m) – the Bhutan’s 2nd highest peak and the colorful vista of Haa Valley. Passing the Edelweiss-covered ridge, you then see a brutal site where the Tibetan perform the method of disposing of dead bodies. 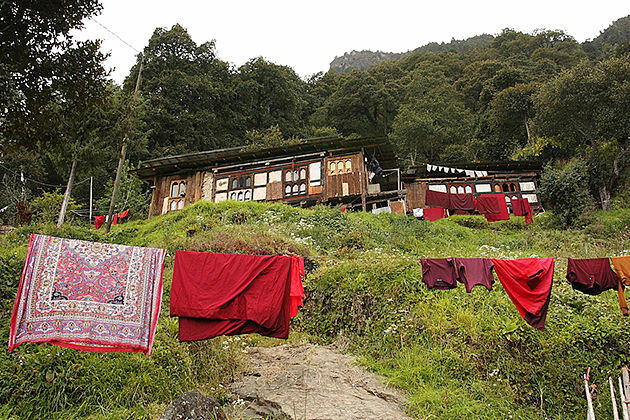 Follow the 2-hour descending trail through dense rhododendron forest then get to Kilaa Goemba, one of the 7 oldest nunneries in Bhutan nestled on the mountainside below. Not until you come there will you realize a sacred ambiance inside the sites and feel the time seem to remain endlessly. There will an alternative option for those who prefer a leisurely sightseeing day as we will transfer downwards from Chele La pass to Haa Valley. If this is your trip in the winter, your guide will have other options for this day’s excursion due to the fact that the Chele La pass might not be accessible during this time of year. Once in Haa Valley, there will be a couple of temples, few shops, farmhouses, and apple orchards next to the fast-flowing Haa river for you to discover all of them. 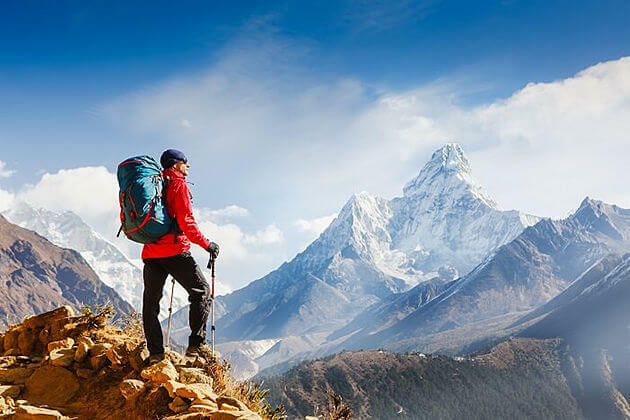 Your day’s itinerary will be so much more exciting as the hills of Haa offer you an ideal location for hiking or mountain biking with an opportunity to stop at the remote shrines and temples and explore the unchanged lifestyles of nomadic herders. 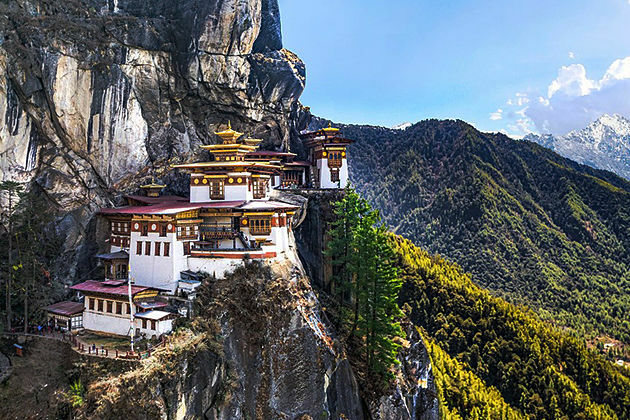 After breakfast, excitingly enjoy a 25-minute drive to hike to one of the most popular pilgrimage sites – the Taktshang Monastery. On the way to the site, there will definitely majestic views of the holy monastery perched precariously on a sheer rock (900m). 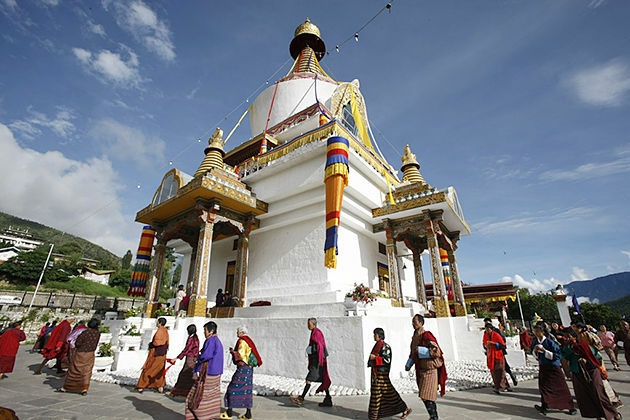 Coming to there, besides indulging the wonderful structure of the base, the sacred ambiance coming from burning incense, you will also be told about the story relates to saint Guru Rinpoche – father of Mahayana Buddhism. 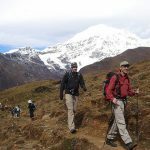 Begin the hike from the base to the cafeteria (1.5 hours) where you will stop for a rest. After that, continue a trek through much stunning landscape to reach the monastery. When you return, stop at the cafeteria again for lunch, then hike downwards (2 hours) to the base of Ramthanka. Later, in the evening, take it easy with a traditional hot stone bath. Your first day of trek today will begin with a drive to Shana. 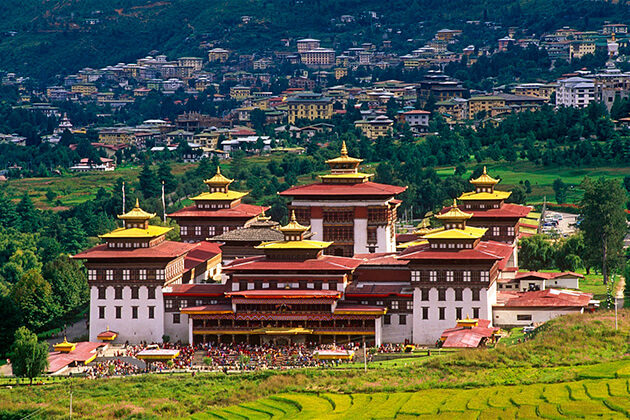 On the way, stop at Drukgyel Dzong, an ancient fortress constructed in 1648 to handle the northern route to Tibet. Goodbye the road, you then follow the Pa Chhu River through the lush farmland, traditional farmhouse and the small settlements of Mitshi Zampa and Sangatang, before getting to the army camp at Gunitsawa. 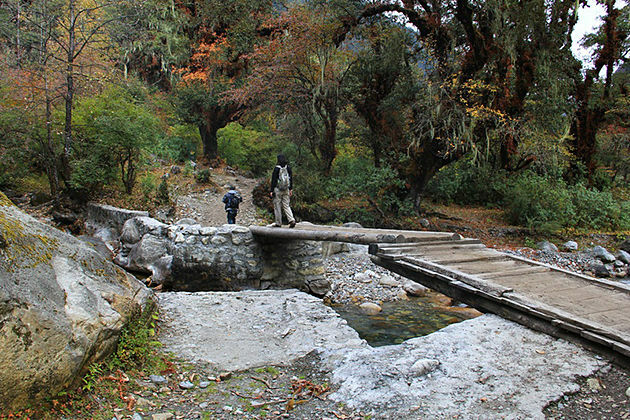 Take a short drive and you will reach Shana Zampa, where your trekking days begin. 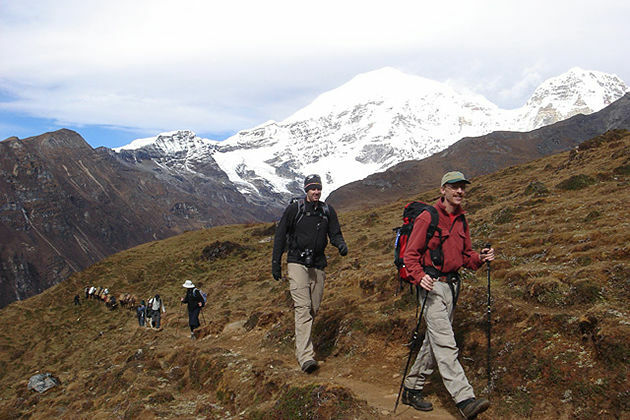 The trek involves a long trail through rhododendron & the pine-clad river valley and the Jigme Dorji National Park. On reaching Thangthangkha, you will have an opportunity to hike through woodland, across many streams, and witness the spectacular views of the Mt. Jomolhari. Overnight at your camp base. 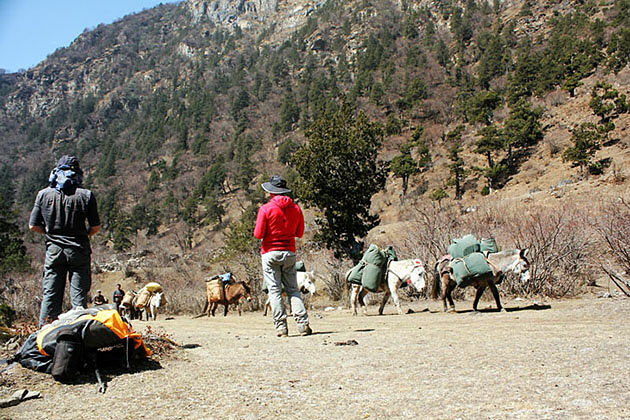 From the camp base, follow an ascending path for a while till you reach the army camp. 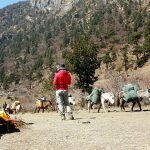 Then, hike along with the river above the tree line, pass through a very muddy section of trail and a mani stone wall and enter yak country where a hot lunch will be served inside a yak herder’s camp while marveling at the stunning view of the surrounding peaks along the trail. After lunch, ready to pass through yak herder settlements of Soe and Takethang where you can see some common crops there like barley, potatoes, and turnips. 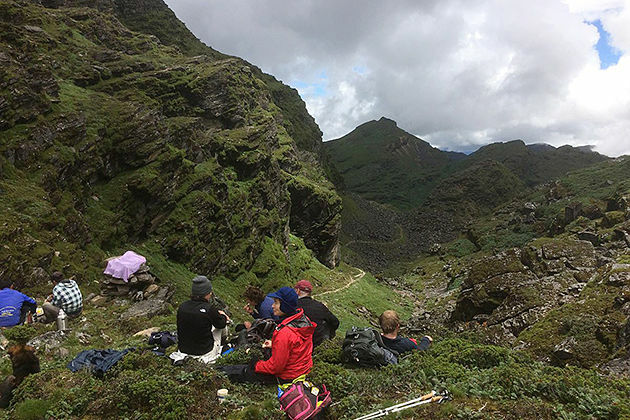 Keep continuing to walk across a plateau and up a stream bed, then you will reach Dangochang village and the incredible campsite of Jangothang at 4.080 m, from where the spectacular vistas of Mt. Jumolhari and Jichu Drake will amaze you. 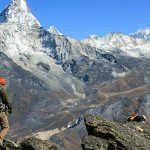 Particularly, there will be no trail today but you will spend a day doing a 4-hour acclimatization hike to the north of your camp as climbing on an opened slope until the Mt. Juchu Drake (6.989 m) widely opens front you. If it is your lucky day, you can see some of the rare animals such as the blue sheep, griffon vultures, golden eagles, Himalayan rhubarb, and the blue poppy. 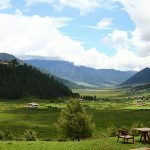 Once in Jangothang base camp, the flat grassy land converging an ancient fortress on a hillock beneath the colossal Jumolhari and Jichu Drake, you can enjoy the rest of the day to take it easy and fulfill your energy for the day after. 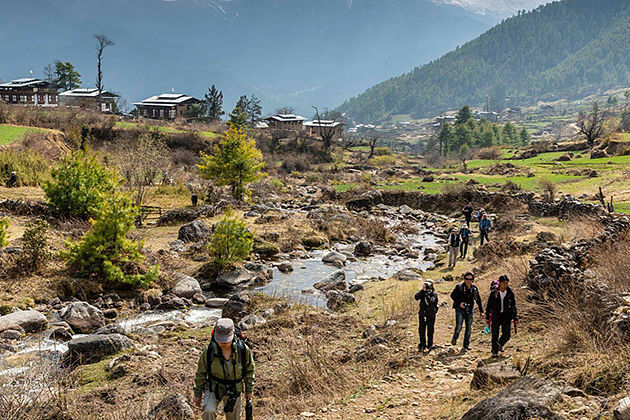 Your journey today will finally lead you to the last settlements in the valley and drops to the Paro Chhu. Elegantly passing the clearly-watering lake of Tshophu (4.380 m), you then climb up to Bhonte La pass (4.890 m), the highest point of this trek. 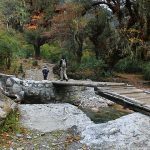 On arriving in your camp, your eyesight will probably wide-opened with the stunning Dhumzo Chhu river, and when you trek downstream, be ready to be likely losing your mind with the dreaming views of the area adorned with few of adorable houses of Soi Yaktsa. 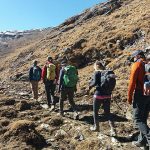 Leaving the Jummolhari trek behind, you then get into the Laya-Gasa, a trek route climbing towards a small white chorten on a ridge above the camp, then turning south up the deep Mo Chhu valley. 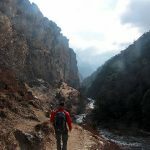 The trail then crosses the river and climbs steeply for 2 hours to Yeli La (4.820 m) from where you can witness the amazing Jumolhari, Gangchen Ta, Tshering Gang, and Masang Gang if it is a lovely day. 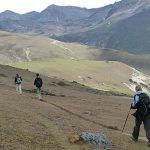 After that, follow the descending route along a stream to a shelter, and do further downstream to a camp base at Shodu (4100 m) where is a meadow with another chorten. 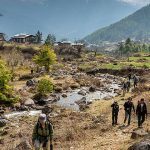 From there, make your way to return the tree line and follow the path along Thimphu river, descending through rhododendron, juniper, and other alpine forests. On the way, do not forget to gaze out the cliff facing rocks and impressive waterfalls. Then, be ready to enjoy a hot lunch which will be severed by the riverside. After lunch, make your way ascends to ruins beside the river, behold at the ruins of Barshong Dzong, then you finally reach your camp base at the altitude of 3.700 m.
Following the gently descending trail through a dense forest of rhododendron, birch, and conifers before dropping steeply to meet Thimphu Chhu. 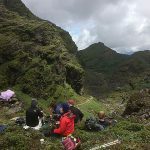 Then, your trekking day will end up with a trail traversing a steep cliff to Dolam Kencho where you camp amid pastureland at 3.600 m.
Today, you will follow the trail going in and out steeply to the river to the southward the road-head at Dodena (2.600 m), a non-tourist destination where you can indulge yourself in the natural beauty. Then, you will be picked up and transferred to Thimphu. The rest of the day in Thimphu will be yours. Take it easy and do what you are interested in. 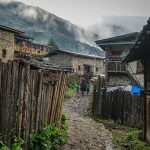 Leaving Thimphu behind, you then head to the countryside toward the Gangtey Valley, where offers you an opportunity to experience a house of the rare black-necked cranes. The drive following the ascending trail to the Dochula pass providing the majestic views of the Himalayas. 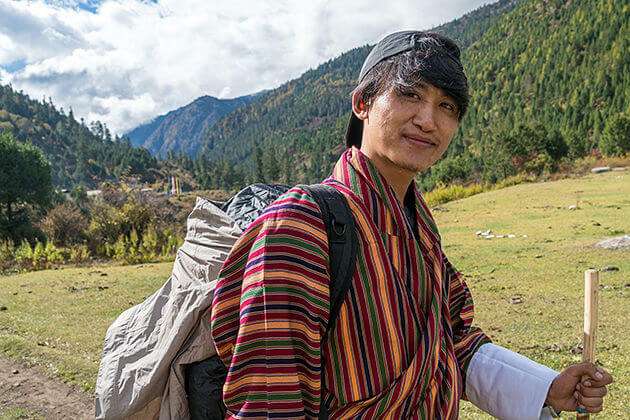 There will be a descending trail to the vibrant and colorful Wangduephodrang filled with fluttering prayer flags flying amid terraced farmland and rivers. 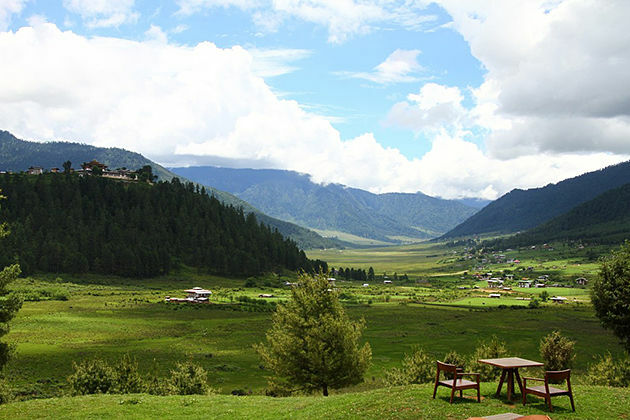 Keep heading towards the Phobjikha Valley where you will have an opportunity to immerse your soul in a wide glacial valley with a central stream meandering through thickets of dwarf bamboo. What’s more, do not forget to witness the forest beyond the farms mostly adorned with coniferous, and the vegetation composed largely of blue pine, birch, maple and some species of rhododendrons. One more thing that if you enjoy this trek in the winter, you will have an opportunity to see cranes migrating here. 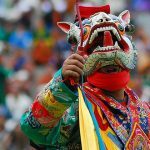 In the afternoon, it’s time to enjoy several traditional games including dha (archery) – the national sport in Bhutan, and khuru (darts) – the most popular sport in such a country. Later, in the evening, spend your time to relax in the hotel, or stroll around with your guide to discover the glacier valley. Today, your sightseeing day will all about spending your time visiting some popular sites in the area. 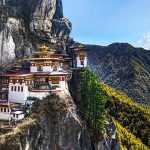 Your itinerary will begin with the Gangtey Monastery, perching on a small hill rising from the valley floor and is surrounded by a large village. 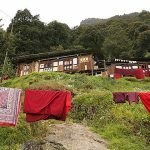 Once there, you will have an opportunity to gain an insight into the religious traditions of Pema Lingpa and experience the sacred feeling in this site. Stroll around the Phobjikha Valley, you then enjoy the Gangtey Nature Trail which starts from the small hilltop overlooking Gangtey Goemba. You then walk downhill through flowering meadows to Simchubara village. 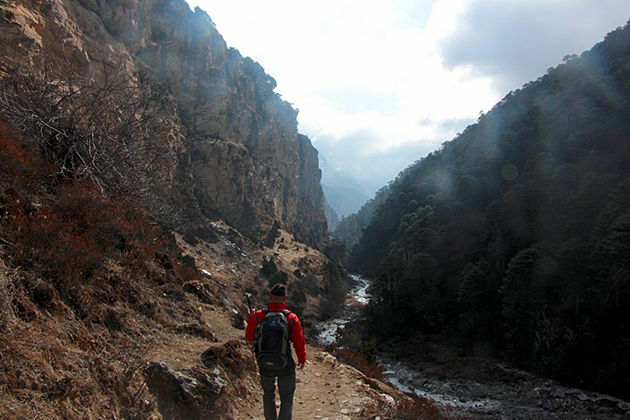 The trail will end at the Tabiding, the football ground when you pass Khewa Lhakhang. 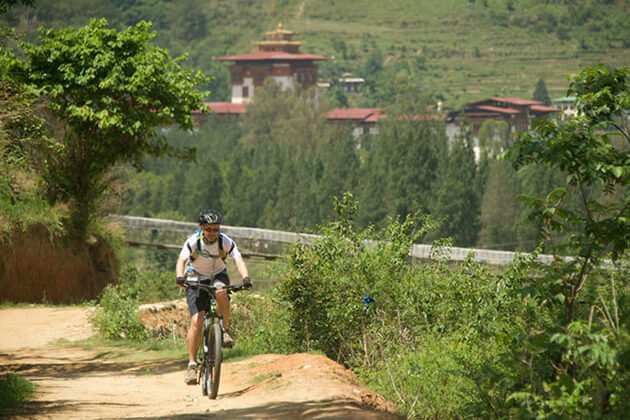 Finally, depends on the time remaining, you can enjoy a cycling tour around the valley. Time to say goodbye Gangtey. 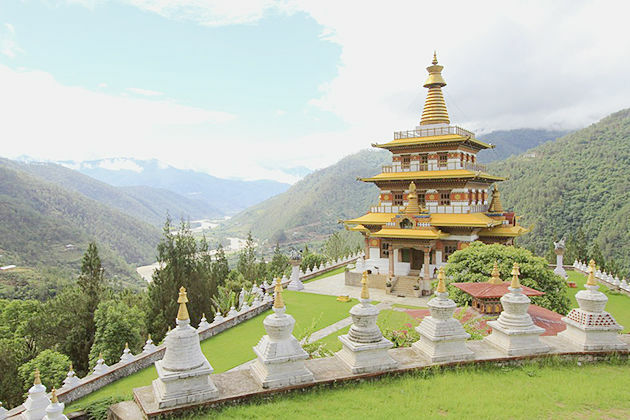 After breakfast, you will drive to the Punakha Valley and on the way, it’s your chance to see paddy fields to Pana village and the Chimi Lhakhang temple (temple of fertility) where you definitely find out something weird yet meaningful in Bhutanese religion. 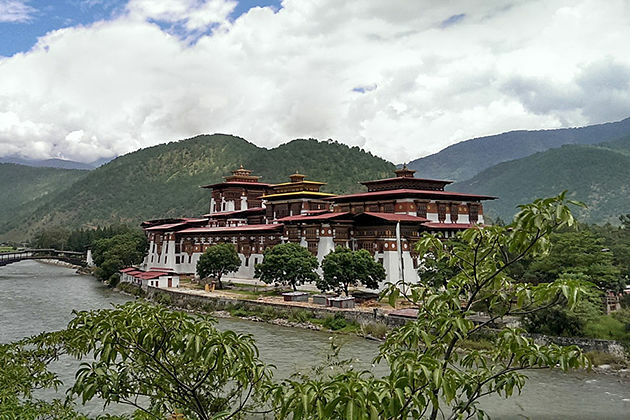 After having lunch, head to Punakha Dzong, the most beautiful Dzong situated at the confluence of the Pho Chhu and Mo Chhu rivers. The rest of the day will be yours as you can spend time on what you want. 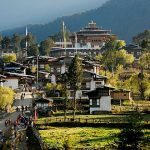 After breakfast, you then set out on a beautifully hiking day to Khamsum Yulley Namgyal Monastery by taking a 30-minute drive from Punakha Dzong. 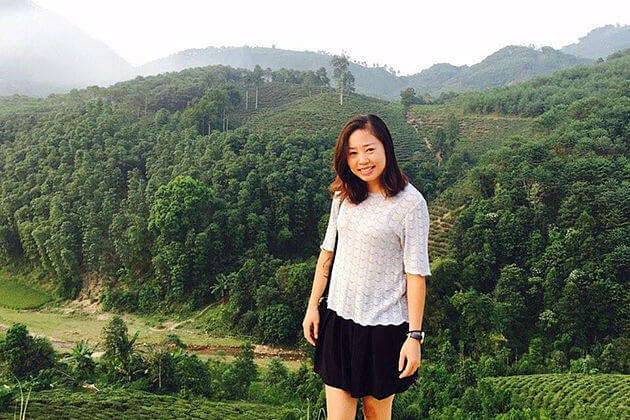 You will cross a suspension bridge and walk through the dreaming rice fields before making your way climb a moderate incline that is surrounded by pine trees. Then, the hike will be up and down for about an hour and a half to enjoy the natural beauty of the area and light traditional butter lamps at the temple. After the hiking journey, let the drive to Thimphu (3 hours). On reaching the capital city, stop at the Dochula pass. Keep your camera handy and take several stunning photos while standing at a high altitude. The rest of the day in Thimphu will be yours. Today, you will spend your whole day exploring the capital city, discovering things that you have not done before. 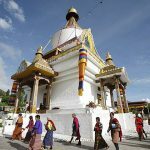 Ready to visit Memorial Chorten where the golden spires shining in the sun, along with the bells tinkling and the endless procession of the old circling around the chorten. 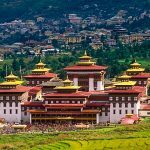 Then, head to Kuensel Phodrang where the Buddha Dordenma resides and you may ask your guide to tell you some story about these sites. There will be an exciting experience as you have a chance to plant a tree in your family’s name when you visit the Happiness Garden nearby. 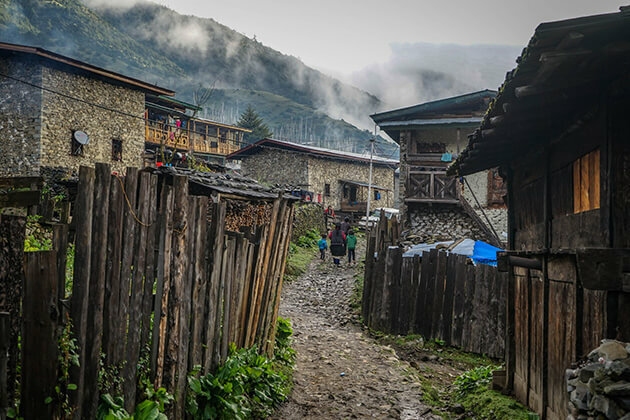 After lunch, head to Folk Heritage Museum which will give you an insight into the traditional lifestyle of the Bhutanese as well as a collection of typical household objects, tools, and equipment and demonstrations of rural traditions, skills, and customs. 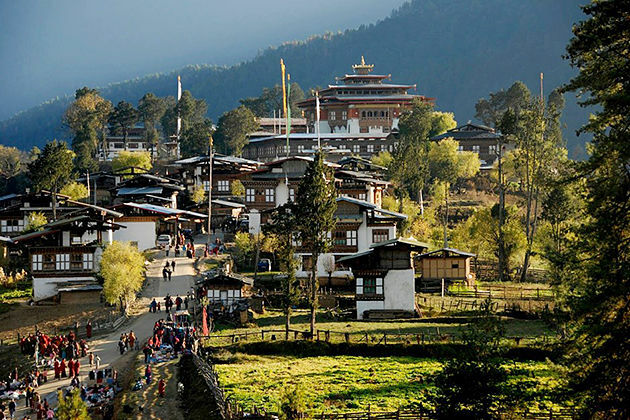 Your sightseeing day then continues with a visit to the Vast Art Gallery, the main center for local artists where is a great destination to witness the Thimphu art scene, check out the latest exhibits and have a little chit chat with people as well. Later, take a walk through the town to visit the many textiles and several handicraft shops along the streets of Thimphu, or you can visit the currently opened Craft Bazaar. Time to say goodbye Bhutan. Enjoy your last moments with breakfast at a cafeteria. 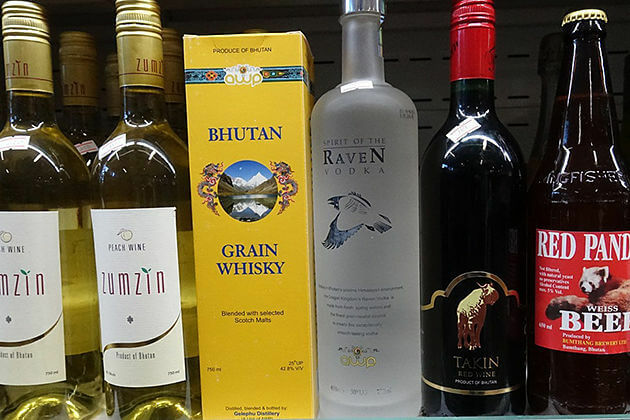 You then have some time to stroll around Thimphu, doing some shopping, or just sitting at the cafeteria to relax and recall the time that you had in Bhutan with your beloved partners. Before 2 hours when your flight launched, our representative will meet you at your hotel and pick you up to the international airport for your return flight. The trip ends, thank you for going with us. Hope we can serve you next time in Bhutan. English speaking tour guide will be provided in each city, who will remain with you throughout your time in that city. He or she will provide you with the best local knowledge available. 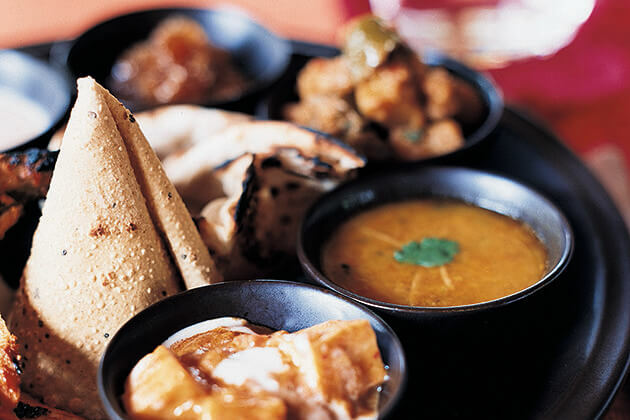 All meals as specified in the itinerary with authentic local food. 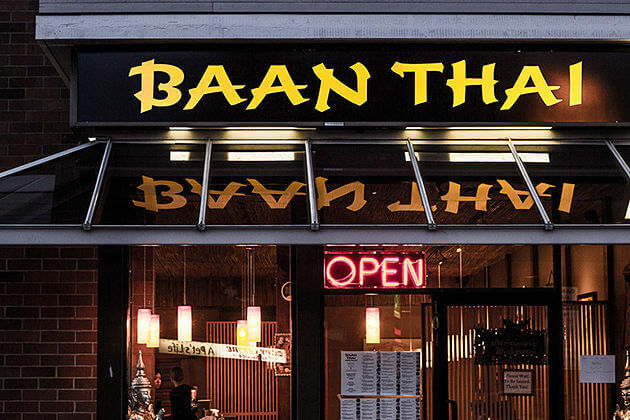 Western food is available (upon request) (B = Breakfast, L = Lunch, D = Dinner).